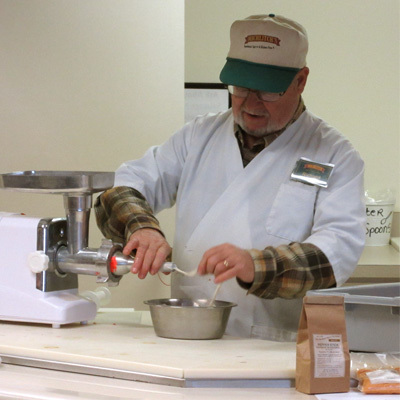 Beginning sausage making classes are offered in our store and are scheduled once a month during the fall, winter and spring. The next available scheduled class is set for Spring 2019. Date to be announced. A class handbook will be provided. Classes fill up fast! Call now to get on the list! 509-624-1490. NOTE: Class enrollment cannot be purchased online!